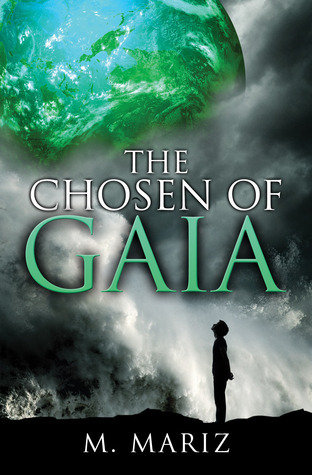 The Chosen of Gaia is the perfect choice for light reading and entertainment. M. Mariz presents a perfect society with immense technological advancements and little worry about crime or disease. Albert and his family are introduced to this new world, Gaia, as a family of Chosen. They'll have to adjust to their new life or return to Earth with no memory of their experience. Albert, his twin sister Ruth, and their mother Sophia wholeheartedly agree to the journey, but their father, Victor, hesitates. The very opening of the novel presents to this normal family a life-altering decision that changes their perspective of themselves and the worlds around them. Within this story, Mariz doesn't let everything proceed smoothly. The characters face opposition and uncertainty. 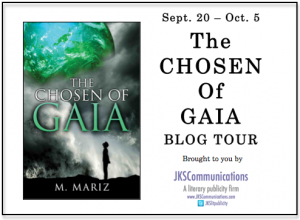 The Chosen of Gaia is truly a story that readers of any age can enjoy because of the lessons both the parents and children learn. Albert and Ruth's journey is the most impressive because they come to blossom on Gaia, especially when their peaceful stay on the small, green planet turns violent. Even when separated from their parents they learn to rely on each other and stand alone against the people who would dare try to force them from their new home. The Chosen of Gaia has light elements of mystery and science-fiction. Light, because there isn't a lot of complicated jargon and the story doesn't get more complicated than exploring life on a hidden planet with futuristic technology. M. Mariz's debut young adult novel comes highly recommended! Preservation of natural resources. Unfortunately our natural resources aren’t inexhaustible, requiring strong laws and collective struggles to protect and respect the environment. I know, your 30 minute shower helps you relax and you need that to forget about your moron boss, but perhaps you can take a quick shower and relax reading a book instead? Preferably an e-book version to save trees, while drinking fair trade coffee on your organic bike. Holistic education. A society needs to value and pursue knowledge as the base of its progress and enhancement. Education could produce more qualified individuals not only for the job market, but for life, teaching respect for cultural diversity and the wise use of freedom so as not to crush others’ rights. A well educated person treats others and the environment with respect and not like hired help on an episode of “The Real Housewives”. Scientific and technological progress. We need to stop treating the environment like the set of a Michael Bay movie, and instead find means to protect the natural world while also increasing human life expectancy and quality of life. Science can help us achieve the perfect body: a stronger immune-system, healthier habits, and more resilient to injury, age and disease. A government that respects individual rights while still promoting the general welfare. Every society needs order to ensure that needs will be met and to promote harmony among competing groups. The government should be responsible for promoting the previous four elements. A government should always be democratic, respecting human rights, combating social oppression and granting equal rights, regardless of race, gender, and personal preferences. Those were the thoughts that led me to create the utopian society named Gaia in my novel. But would it really be possible to have a utopian society as defined above? Would it be possible to one day have a perfect society with absolutely no problems or crimes? Humans are humans… we make mistakes, some are driven by ambition, others by malice and jealously… Can we erase our animal instincts and live in endless harmony? 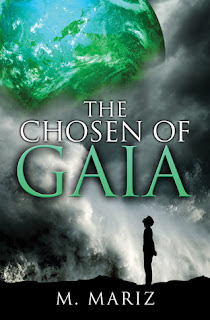 If you want to dive into the subject through the eyes of fifteen year old Albert, check out my YA fiction “The Chosen of Gaia” and find out if Gaia is in fact an immaculate place. Thank you so much M. for sharing your top 5 utopian elements! This sounds like a great book. Loved the guest post.